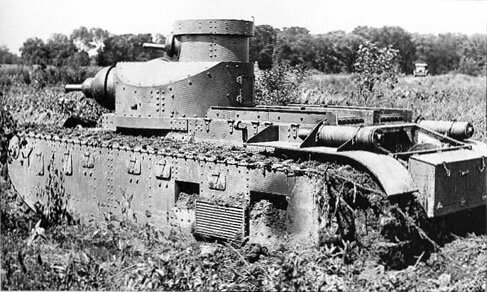 The US T1 Medium Tank started out as a prototype, but was late relegated to a test bed for engines and other systems. It was designed in 1924 and built in 1925. Testing commenced in 1927 and continued as a tested vehicle until 1932 for such projects as the Liberty engine and ventilation.